Diabolical disorientation is no laughing matter; in fact, it’s nothing short of a tragedy. That said, it really is borderline amusing to see “conservative” Catholic commentators trying to convince themselves that the Church isn’t in crisis. 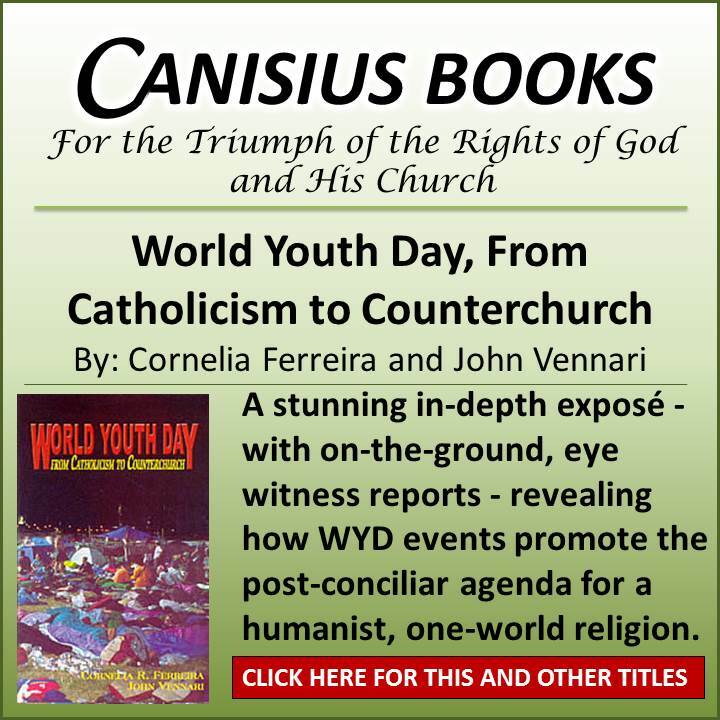 On June 11th, for example, Deacon Greg Kandra published a blog post entitled, “The Myth of Catholic Decline,” (brought to you by Patheos – Where the Pathological Ethos of the Neo-Catholic Blogger Intersects with the Worldwide Web®) that went a step further still. “Truth be told, the numbers in parts of the United States—like Raleigh, for example—are historic,” he noted. What the deacon didn’t attempt amidst all the revelry was to hazard a guess as to why the Catholic Church is now considered a viable option for religious consumers in the Protestant-dominated Bible Belt, but let’s not get ahead of ourselves. While one may be tempted to analyze the demographic data Deacon Kandra cited, (e.g., by pointing out that the “Research Triangle” area of North Carolina has witnessed, over the last several decades, an explosion of new residents from other states thanks to the Hi-Tech boom) that would be perhaps the most flawed response of all. Because doing so would lend the appearance of relevance to an utterly irrelevant argument. 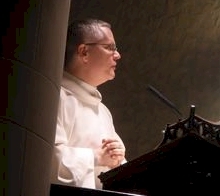 Deacon Kandra, you see, has essentially adopted the same earthbound mindset that infects the thinking of today’s ecumenists who approach the topic of unity as if it were but a numerical concept, when in truth both are guilty of overlooking the far more important, and relevant, spiritual reality of the situation. In the present case, the relative health of the Catholic Church in our day, a spiritual condition, can in no way be demonstrated via demographics. Back then (read, before Vatican II), to be Catholic pretty much meant to think and feel with a Church that stood against many of the worldly ideas reflective of a humanity hell bent on worshipping itself. 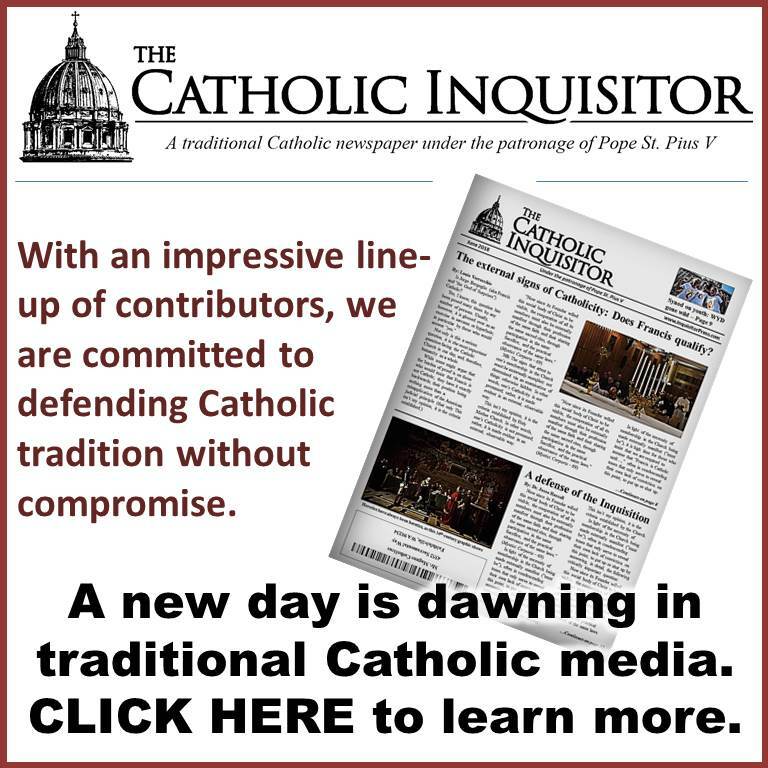 A rise in Catholic statistics (like Mass attendance, vocations, participation in the sacraments, etc.) was therefore a reasonable, even if less-than-perfect, measure of the degree to which the Church was successful in converting the world, and the worldly, to Christ. Once the bishops adopted the notion that man enjoys a positive right to religious liberty as a function of human dignity (Dignitatis Humanae – 2) and collectively decided to operate from the conciliar belief that “all things on earth should be related to man as their center and crown” (Gaudium et Spes – 12), however, demographic data became far less meaningful. Think about it: For every self-identified Catholic in our day who believes that marriage is between one man and one woman; that abortion is intrinsically evil, and that the Holy Catholic Church is the one true faith apart from which there is no salvation, there’s a veritable busload of others who reject one or all of the same. Sure, converts keep coming, but who’s kidding who? When a former-protestant is welcomed into the Church today, is it more accurate to imagine that a heretic has thus been Catholicized, or that the heretic has thus joined a Church that he judges to have been sufficiently protestantized? If we’re honest, we must admit that it’s anyone’s guess. Likewise, when Deacon Kandra visits a parish in Dallas, the parking lot of which can barely accommodate the traffic generated by its midweek activities, is it any better than a coin toss that anything taking place within its walls is recognizable as Catholic, including the liturgy? The numbers, in other words, mean exactly nothing relative to the Church’s spiritual condition; i.e., her faithfulness to the mission that was given to her by Christ. With all of this in mind, I’m reasonably certain that reports of the Catholic faith’s incline have been greatly exaggerated. Was John Paul II a visionary? I do understand the Church in the South is more faithful, less Nancy Pelosiesque. Yes, crumbs excite me. Most American Catholics are more protestant than they care to admit. This explains why former evangelicals become celebrities so quickly. It also explains the papolotry of these neo-Catholics who can’t give up the pulpit. They are merely bringing into the Church a Protestant caricature of what the papacy is. Only now, they embrace it. Agree, but this applies all over the planet. The church is in free fall. The only hope is DEVINE INTERVENTION. Great comments everyone! With respect to how “traditionally” the Novus Ordo Mass is celebrated, didn’t Louie say the other day that it is actually a bad idea to dress up the New Mass with elements of the “traditional” Mass (in other words THE Mass). It should not be a question of how we want to worship God, but about how God wants to be worshiped. The more I came to understand the true sacrificial nature of the Mass, the more issues I came to find with the New Mass. The most fundamental issue is that it destroys the priesthood — and I am sure that this was done fully intentionally. The last few NO Masses that I attended I found myself thinking when the “priest” would say something like let US pray, “No, you pray to God for us. That is your job. We are here to pray for you and to worship God with your assistance, because you are the one who has received the sacrament of holy orders and only you can transform the bread and wine into the body and blood of Christ.” Americans growing up in a predominantly protestant country have a hard time truly grasping the need for a priest to offer a sacrifice to God. I myself used to wonder why Catholics use the word “priest” rather than “minister” or “preacher”. Would you believe it if I said that if there were no longer Catholic priests saying Mass that the world would come to an end? In ancient Egypt the priests said prayers through the night so that the sun would rise. Catholic priests also used to say the prayers of the hours through the night. Now this practice is mostly abandoned. The sun still rises, but the Christian spirit of the world is waning. No one can deny the punishment from God in the form of a decadent culture which is poisoning our children. 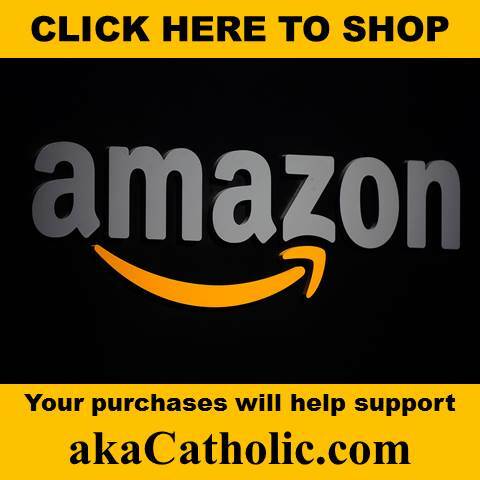 The question is, “How does God want to be worshiped?” The Catholic Church used to provide a definitive answer to that question. Was it wrong? This is one of the fundamental claims of the conciliar church, that Catholic dogma was wrong. The numbers actually are really bad, too, as shown in “The Index of Leading Catholic Indicators” book, by Kenneth C. Jones from 2003. And the numbers would be worse still but for the recent Hispanic immigrants — before they fall away as well. On Raleigh, N.C.: The 1960 U.S. Census tallied 76.4% white, 23.4% black. Only a few would have been Catholics. Hispanics weren’t counted as a separate group then, but would have been considered whites. 2010: 53.3% non-Hispanic white, 29% black, 11% Hispanic. Raleigh’s population more than quadrupled from 1960 to 2010, to 403,391. That means the Hispanic population went from close to zero in 1960 to 44,373 in 2010 — and keeps climbing by a couple thousand a year. So of course they’re going to be building Catholic churches. There also are hundreds of new buildings with such names as Iglesia Adventista Del Septimo Dia and Iglesia Puerta del Cielo. I think all the comments are fabulous, but we are preaching here to the choir. There have been many attempts by a number of groups to make an impression on the masses of the faithful and most especially on the hierarchy. I think it would be beneficial to have an annual gathering of all the traditional groups to find ways to work together to better spread the truths of the faith. I might suggest Baltimore since it is where the Church began here, it is the primary diocese, and we all know that our original catechism came from that council. I presume there is a new syllabus of errors that has been printed so that we can have a clear definition of the tenets of the faith and the present errors. It might give us the opportunity to have a seminar to point out the errors that have arisen over the past 50 years. I remember the Church of the 1950s. It was vibrant, congested, dedicated and faithful. It took 500 years since the Reformation to get us back to our golden era. It took only 50 years to bring us to this sorry situation. but we can share this link so it’s being preached to the disoriented and diabolical and the diabolically disoriented as well. “Deacon Kandra, you see, has essentially adopted the same earthbound mindset that infects the thinking of today’s ecumenists who approach the topic of unity as if it were but a numerical concept.” The ecumenists’ Faith is protestant, not Catholic. And he must be living on an alternate earth if believes that even the ecumenist-neo-catholic-communion is growing. I do think the RCIA was developed, in fact, to prevent converts as a nod to religious indifference. It’s pretty effective. At any rate, if the Church ends up as a Remnant, it’s not quantity but Catholic quality that matters. Thanks for the giggle. One can always rely on Bergoglio for a butter-wouldn’t-melt bit of mockery. as for the brainwash of these authentic Catholics into the quantitative-easing of VII, it’s a miserable treachery. It’s amazing that when Francis presents himself before the world he is the humble, simple, bishop of Rome but when he wants to rail against Traditionalists, such as the FFI, he becomes a neo-ultramontanist. The ecclesiastical-chamaeleons of the clade latinatus-lizardus are a slippery bunch for sure. Ecumenism’s fruits: the anti-prophet, Luther, is now hailed as a prophet by people known as popes; after five hundred years of Protestant madness, murder and mayhem, Protestants still, on the whole, believe that Catholics are, as a matter of fact, going to hell. Meanwhile novus ordo catholics believe that Traditional Catholics ARE hell and that there is no actual hell. I find it troubling when people say our Lord “intercedes” on our behalf. The Blessed Virgin and the Saints intercede. Christ mediates. It may seem a mere quibble over terminology to some, but the difference is theologically significant. Or, at least, it used to be. I am reminded of that Priest that got in a car accident and died. He was judged by Jesus and his sentence was hell for living as a Priest out for himself, but the Blessed Virgin asked Jesus if he could be given another chance and special graces. He made a full recovery and is still alive. The Priest told his story to Mother Angelica on EWTN many years ago. Fr. Steven Scheier. After his experience, he entered the Order of the Intercessor of the Lamb. I read somewhere he had to retire last year from parish duties due to continuing health problems. There’s a video of a talk he gave called “What is Lacking in the Church Today” which is also worth watching. Thanks. I will check out your video recommendation. Deacon Kanda, is a company man. He’s all happy talk, all the time. Everything is great, and has never been better. I stopped reading him years ago. One question about those converts: How many are just going through the motions because they want to get married? How many are children? How many will ever come back to church again outside of weddings, Ash Wednesday, Christmas and funerals? Put is this way, when they finally had a convert-induction-course into the religion formerly known as Catholicism (RCIA) where I live, it was only because a local Catholic with a high profile wanted to get married. So there was an bride to be and myself. This was such a great post, I had to register with WordPress to let you know. My family and I left a “bustling” parish north of Dallas a year ago for a small TLM parish that is 35 minutes away. Numbers were going up at the old parish (only ten years old), because people were always moving into the area due to the stronger than average local economy and new home construction. But the people that are coming in are mostly Catholic lite. In fact, most of the parish is. Lots of contraception and divorce, all given a pass to remain “pastoral.” I taught CCD there for five years, and the vast majority of the children were learning NOTHING about their faith at home. Many don’t attend Mass. Their parents drop them off at CCD instead while they run errands. I’ve had friends who converted before marriage to a Catholic. They didn’t think it was such a big deal anymore. They learned in RCIA that if there was something they didn’t believe or something from their old faith they wanted to hold onto, that was okay now. It’s not like anyone is going to ask them to not blend in with the rest of the population. If I hear one more person wax on about how converts are just so much more “zealous” in their faith, I am going to scream. Welcome to the blog, Thaddeus! I wish you and your family all the best at your new parish. Amen. Apparently, “St” JP II “The Great” hadn’t heard this about the man he himself canonized? Well, at least Arch Lefebvre was one bishop in the Church who was attempting to neutralize the evil effects of ecumenism throughout the ’70s and ’80s. There must undoubtedly be people of good will who lack a clear understanding of the profound importance of the points being raised here. The extract below from an essay by Cardinal Alfons Stickler may be of some additional help. By way of context, I have chosen this example as it relates to the Feast of Corpus Christi just celebrated. Catholics who assisted at a TLM last Thursday will know that the Epistle was from 1 Cor 11:23-29. As far as I can find, the Novus Ordo three-year Lectionary includes a reading from 1 Cor 11:23-26 – that is, excluding verses 27-29 – on Holy Thursday and, in “Year C” only, on the (moved) Feast of the Body and Blood of Christ. What I believe we are talking about here is the difference between, on the one hand, a religion charged with teaching the objective truth about each man’s relationship to God and, on the other, a faith that sees “God” as the expression of the evolving norms of a community. Ah, straight talk and clear water. Thank you for this and thanks for including the link. Dear Dumb_ox. Thanks for quote. You’re absolutely right about God bein reduced to “evolving norms”. And I would add that this is a masonic idea of god which gets transmitted to the general through liberal/humanist/atheist propaganda spread by the media in the news and entertainment. Often times I have my head blown by the sermons on YouTube of the FFI. The biblical exegesis and depth given sometimes is just so incredible. It just shows how starved most Catholics are nowadays in most parishes with shallow homilies of the same underlined theme…..God is love. Once the literal sense of Sacred Scripture was abandoned in the attempt to compromise with naturalistic evolutionary scientism, the die was cast and could only lead to where we are today. Faith in the supernatural is the linchpin holding the entire body of Catholic dogma together. Remove that, and everything comes crashing down. When one realizes that the overwhelming majority of people in the post-conciliar Church no longer have faith in the supernatural, deciphering their words and actions becomes relatively easy. By their fruits you will know them….. I did miss it !! dear S.Armaticus, thank you !! Attempting to second guess the motivations of everyone else. Attempting to second guess the reason why someone chooses to do something can be problematic. Kendra makes an assertion, Verrechio tries to second guess the basis for that assertion. In the old days where I live for a protestant to become catholic – to cross the Tiber – was a very big deal. Those people who chose to convert did so at a very high familial cost in many cases. My grandmother was born and raised an English protestant. She met and fell in love with my grandfather, an Irish Catholic. For her to marry him, she had no choice but to become a Catholic. The cost of converting to her personally was extremely high. Many in her own family virtually disowned her. I don’t know if that same cost applies in cases these days. It did apply in the 1930’s. Second guessing the motivations of converts to Catholicism is a risky business. But back to my grandmother. She went on to become “more Catholic and Irish than the Catholic Irish themselves”. Weekly Mass attendance. Dutiful prayer life. Raising four Catholic children. Visits to pilgrimage sites such as Lourdes. I thank her for listening to God and for converting. The faith that she handed on to her daughter (my mother) saw to it that I too was raised Catholic. Your point made an impact. When I converted, I found there was this thing called RCIA which taught hedonism. I looked around and found what I was entering was something unknown to me. I looked for the Mass that my Dad had brought me to in the late 1940’s, it was nonexistent. Then a Pope comes into reign and insists all the poor need is companionship and employment. That’s not what I needed during my period of homelessness. And I just lost the only friend that stuck with me after I lost every material thing I ever owned. She abandoned me because she condemned the fact that I could not find solace in the material accomplishments of my children, which are huge, but instead mourned their loss of Faith. Your Grandmother showed heroic virtue. Pray for me, that I can have the virtue, as a convert, of your Grandmother to assist my children with help of Grace, so they return to the One Holy Catholic Church in which I had them baptized decades ago. We’re praying for all who post here, and we’ll keep you’re family in mind. Please do the same for us. Being parents is one of those vocations where you can let go, but not really, until you see them in Heaven. It’s not easy, (and sometimes downright morally dangerous) to try to pinpoint all the motivations of public figures, especially this Pope. There’s a new headline that says “The Economist” just labeled Francis a follower of Lenin, which follows Glen Beck’s comments that he didn’t deserve Man of the Year from “Time: because he’s a Marxist. At one time, when asked about being labeled that way, Francis said Marxism is a wrong ideology, but he’s met Marxists that are “good people” so he doesn’t mind being called that. It’s not easy to figure out where he’s coming from or where he’s headed, but it is rather scary to know that he has the Keys of the Kingdom. 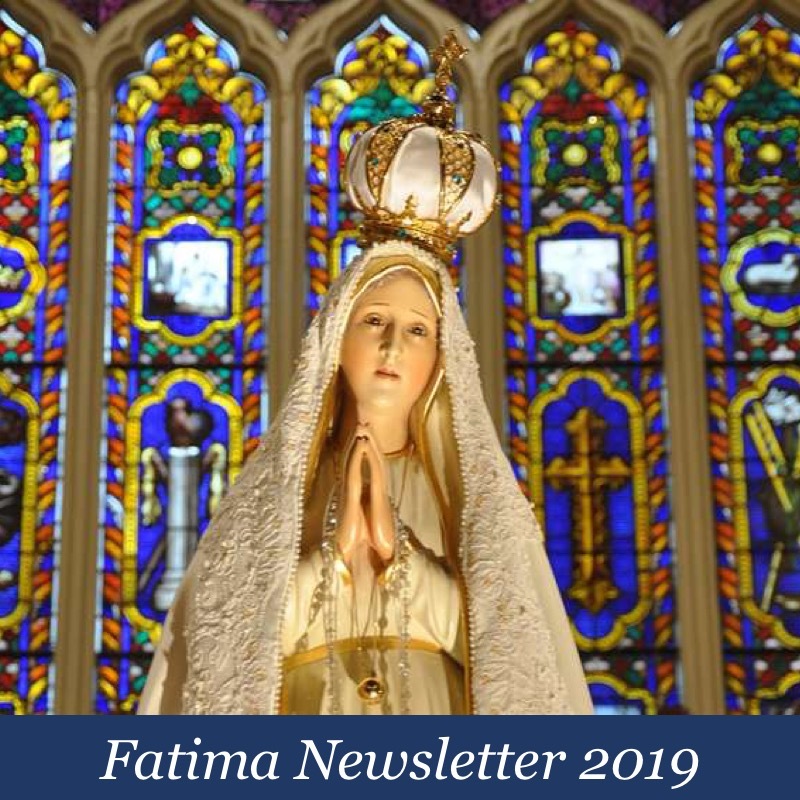 Steve Skojec just wrote a new blog urging faithful Catholics to start writing letters to Parishes, to help them see what they appear blind to. We’ve been doing that for many years, and seen a host of different responses–a few of them good. We think the folks who post here could do wonders in that regard, as so many of you are informed, experienced, and passionate, in addition to having a way with words. If I may, without trying to be intrusive, may I inquire which diocese you are in? It’s not that we feel you’re being intrusive, but we’d rather stay anonymous on that score, so we can speak about things that have happened with a bit more freedom. But it’s one with many many scandals and church closings, where “holy, traditional priests” have had a very rough time surviving. It just occurred to us how very little that last description does these days, to narrow things down. Can you imagine the stir it would cause, if every person associated with this blog, including all those who support the FSSP and SSPX and so are very alert to the consequences of abuses, were to attend a regular parish AND their TLM and functions? With a bit of reserve and the sense to “pick their fights”, and the Grace of God, we might be the few like Gideon’s army, that the Lord can use to turn things around in a big way..
On the occasion of your visit to Israel I would like to take this opportunity to welcome you, our most honorable guest, Pope Benedict XVI. I see in your visit to the Holy Land a declaration that you intend to continue a policy and doctrine that refers to my people as “Our Older Brothers” and “God’s Chosen People,” with whom He entered into an everlasting covenant. We deeply appreciate this declaration. There is a long, hard and painful history of the relationship between our people, our faith, and the Catholic Church leadership and followers – a history of blood and tears. It is difficult to speak of this relationship without recalling the centuries of persecution of Jews by the Church. But a new era was ushered in with the cancellation of the replacement theory. 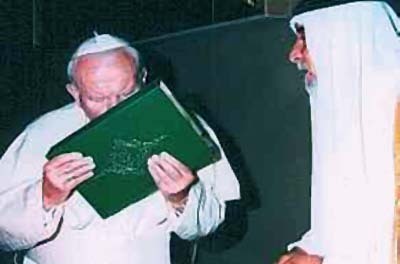 In the Second Vatican Council and the Nostra Aetate document, it was made clear that no efforts would be made by the Catholic Church to convert Jews. Rather, the Jewish people should continue the faith of its forefathers as expressed in the Bible and rabbinic literature. The Jewish people remain a people of God’s covenant, a people chosen by God to give the world the Bible. Put simply, the Catholic Church accepted the theological principle that Jews need not change their religion to merit redemption. I hope you will take the opportunity during your visit in Israel to reiterate this fact. Thank you, that is quite a storehouse. It strikes us that a large part of the problem today, is the confusion over meaning and intention in many of the Papal writings, and the lack of public correction when they are praised for containing things contrary to Doctrine. ROME – A leading Italian rabbi…..accused Pope Benedict of wiping out 50 years of progress in Catholic-Jewish dialogue and announced that Italian Jews will boycott an annual Church celebration of Judaism. Indeed. That combined with the fact that many seem to hang their entire faith on every word uttered by a reigning pope and you have a recipe for disaster. I might say that though the premise is unacceptable, the results are inevitable. It is almost like surrender in the face of the seemingly impossible. It seems to be an accepted projection that when Jesus said that we might all be one, that he saw the day of the break up of the Church. That is to say the proclamation of a Church to be Catholic in the sense of all nations, not all religions. A Church for all.